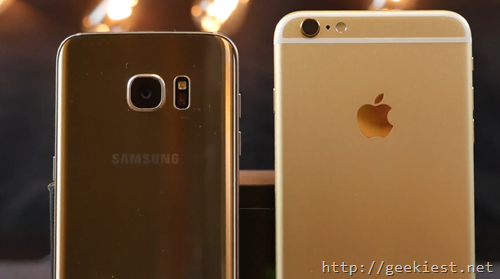 The most common question which always come is that which one is better the latest iPhone or the latest Samsung Galaxy flagship device. 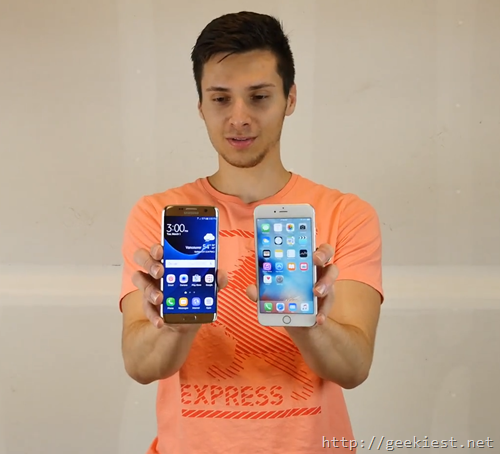 Recently Samsung announced the Samsung Galaxy S7 and Samsung Galaxy S7 Edge and here is a drop test of that phone with the Apple iPhone 6s plus. In the drop test he drops the Phones from the waist height, shoulder height. he does it in side wise, face down and back side down. 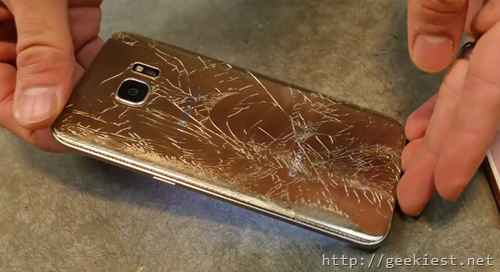 At this level S7 crack its back panel. After these tests the guy drops these phones from 10 foot height . where the S7 display LCD starts to bleed and display is broken but the touch is still working. iPhone do not have crack on the screen. 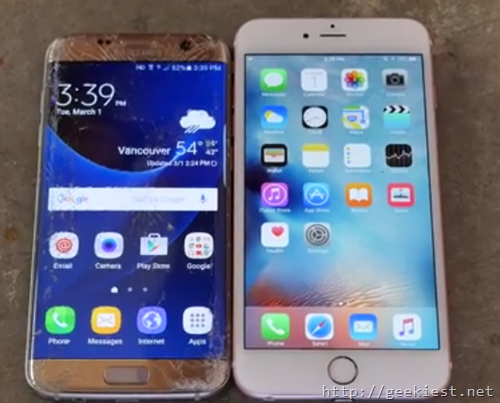 20 feet test crack the Samsung galaxy S7 really bad while the winner, the iPhone 6s plus withstands all the drop test with some deep scratches but the display is working fine. It have some damages to the headphone jack and the frame of the device have a bend. 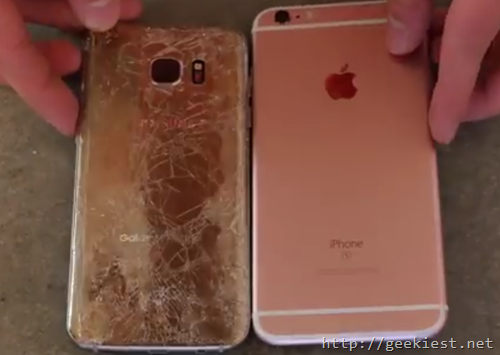 Drop test of the latest Samsung Galaxy S7 edge and iPhone 6s Plus.